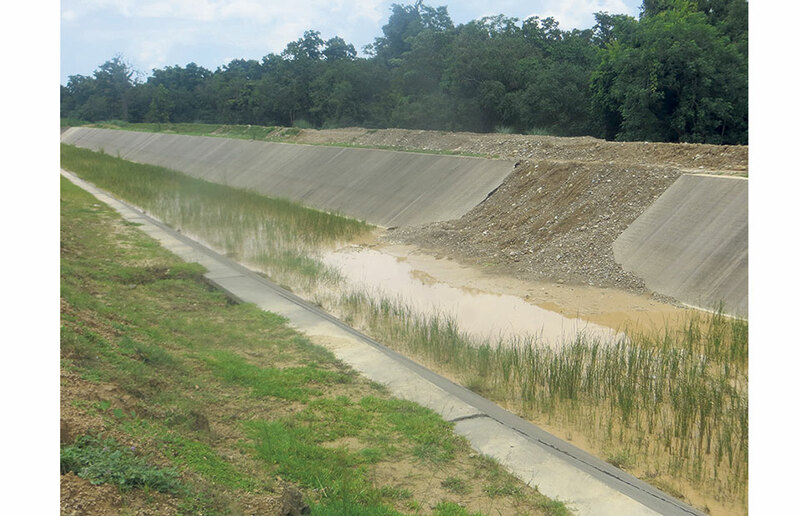 A damaged portion of the Sikta Irrigation Project’s main canal. KATHMANDU, Oct 15: The dispersiveness of soil due to rainwater was not tested while preparing the Sikta Irrigation Project's Detailed Project Report, according to a government report prepared after a two-month-long study into the multiple damages caused to the project. 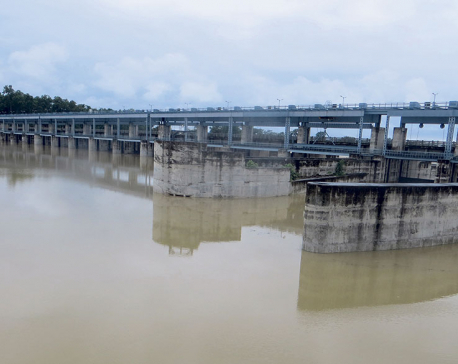 This 'new' problem had never been witnessed in other irrigation projects in the past therefore, the DPR overlooked this aspect, said a press release issued by the Ministry of Energy, Water Resources and Irrigation on Sunday. Sushil Chandra Tiwari, joint secretary at the ministry, had submitted the report to the Minister for Energy, Water Resources and Irrigation on Friday. “The effects of soil mixed with water was not assessed in the project study,” said the press statement. The committee has concluded that the soil in a stretch (from 20 to 35 km) of high cuttings and fillings has voids created by movement of soil mass being dispersed with rainwater and created 'pressure valve release' and 'embankment outer slope'. The ministry also said that the silt from the Chure range washed by rainwater has increased siltation on the land where the canal is built, and such deposition has entered the canal and damaged its parts. The report has also pointed at flaws in the project management saying that recommendations of the past study teams were not followed and timely repair and maintenance were not carried out. The study has however not laid any blame on the contractor, Kalika Construction Pvt Ltd. Project officials, locals, and media reports had earlier criticized the contractor for substandard construction after the canal saw major breakdown during a test conducted in July. The project started a decade ago is a national pride project and has been touted to bring economic transformation of the region. The Commission for the Investigation of Abuse of Authority last month said that it is also investigating into the canal failure.